For Isaac-Rx to track Isaac-Tx, we need to know the orientation from Tx to Rx. 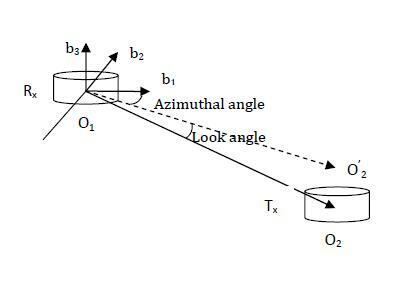 Thus we define look angles and azimuth angles to describe the orientation. Recently, we have made some progress in look angles and azimuth angles. We took into account drags, winds and ejection angles in simulations, to understand the effect of winds and ejection angles on look angles. All the graphs were obtained on the base of adding drags, but one set was based on without wind, while the other one was based on with wind, and at the same time, the ejection angles changed. From these figures, we can see that winds affect the look angles a little when the ejection angles are same. However, the ejection angles have a large effect on the look angles. Above is our conclusion.